A Song to Sing O! 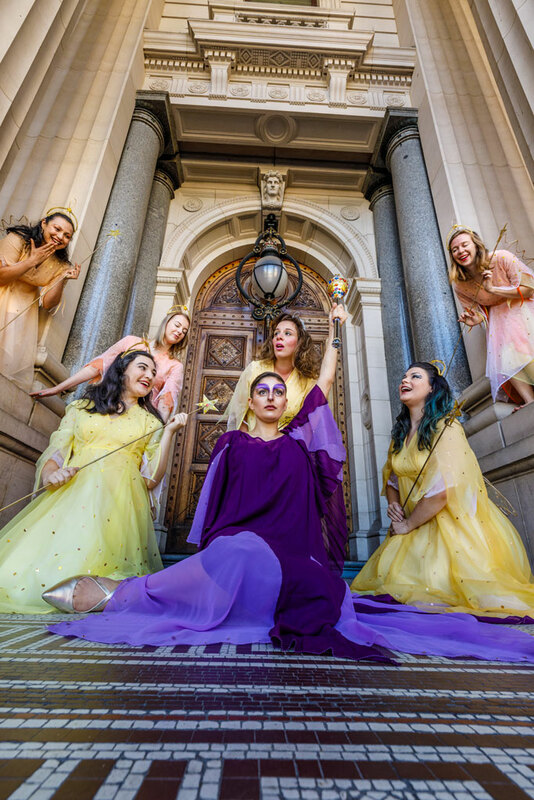 A spellbinding musical fantasy, Iolanthe is Gilbert & Sullivan at their sublime and satirical best, don't miss this fable of fairies versus mortals. 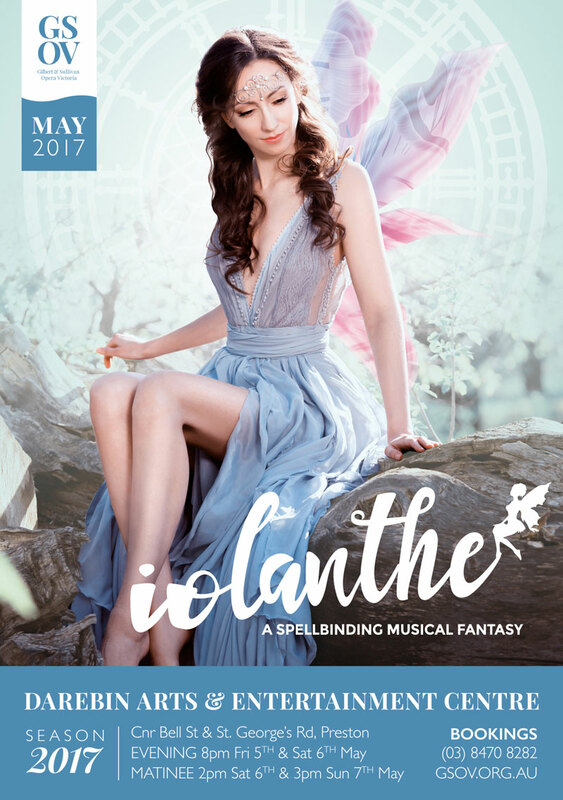 Beloved and beautiful, immortal Iolanthe has broken one of her fairy kingdom's biggest rules – she fell in love with a human and was banished for marrying a mortal. Now twenty-five years later, these two worlds will collide as her son, Strephon (half fairy from the waist up, and mortal from the waist down), has rapturous plans to wed pretty Phyllis, a sweet voiced shepherdess and ward of the Lord Chancellor. Unfortunately, Strephon has a lot of competition from just about every peer in the House of Lords, including the Lord Chancellor himself! With class complications, mistaken identities, and not a little bit of supernatural shenanigans, will true love be enough to win out when party political lines are drawn? 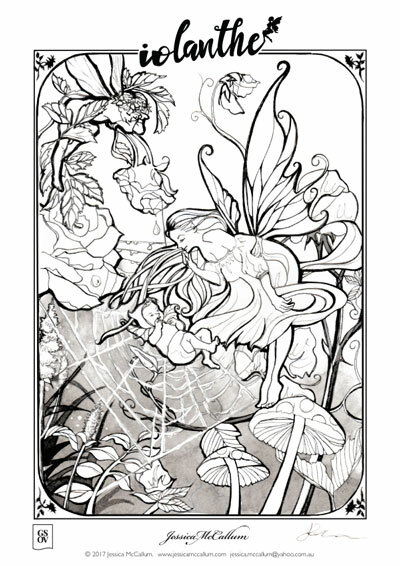 "The conflict of fairies, mortals, love, law, and politics is a brilliant comedy with what would have originally been a biting edge of satire. If you have never seen a Gilbert and Sullivan operetta, this is an excellent start – you would be hard put to better it." 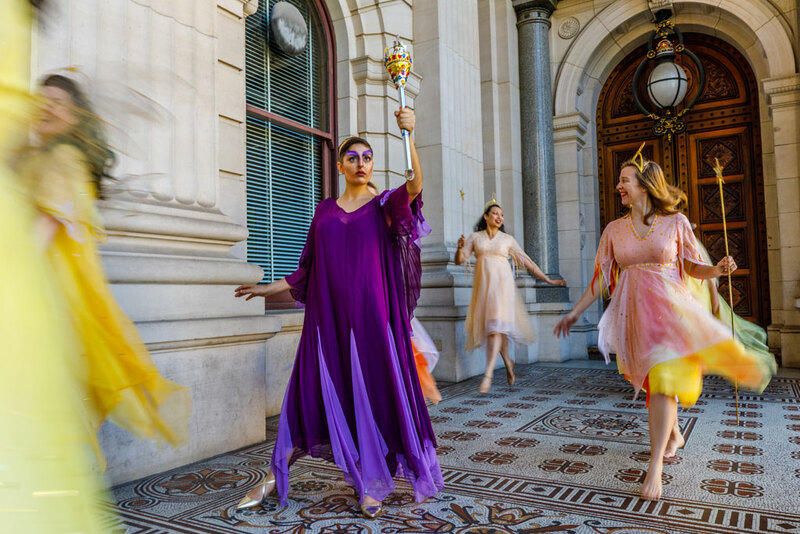 "Iolanthe with its magic effects, fairies and occasionally lullaby or nursery song-like tunes, may be amongst the best introductions of opera to children." Can't make it to Darebin? 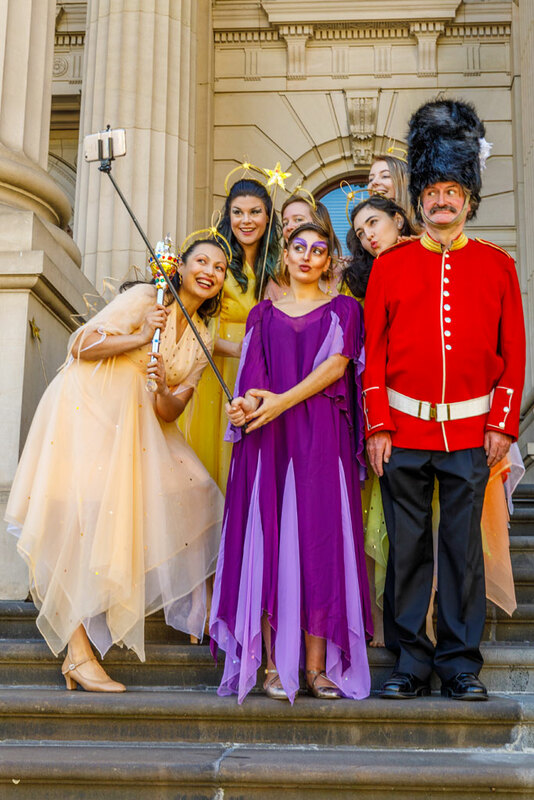 See Iolanthe at the Bunyip Hall 29th April. 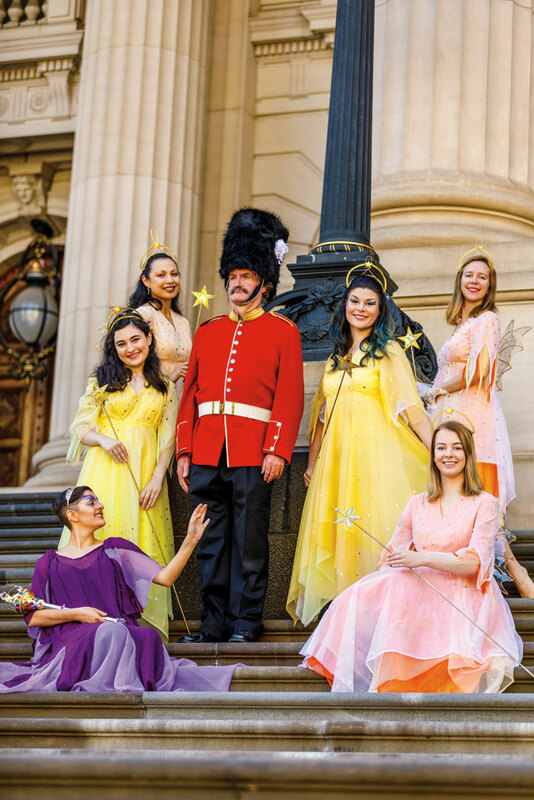 Dress up as a Fairy, Lord or a Royal Guardsman and meet a GSOV fairy live and in person at our matinee shows! With balloon animals and a colouring-in competition too! 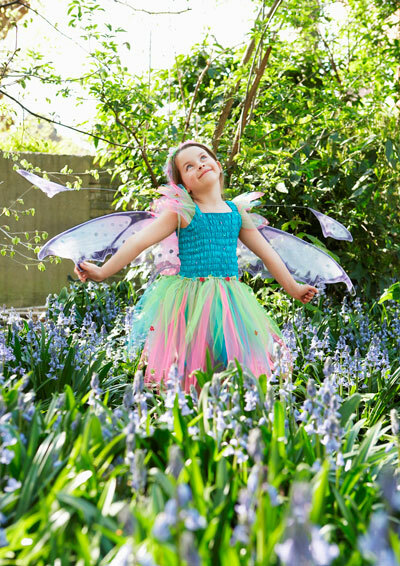 Terrific prizes for the best dressed and the best picture, sponsored by Fairy Dance. Direction & Cast We have recruited a stellar cast of young, talented individuals, combined with several seasoned performers. Chorus of Fairies: Judith Clark, Judy Hall, Gemma Hannan, Robyn Hannan, Joy Lukman, Susan Marshall, Mhairi Riddet, Kerrie Robbins, Heather Walters. Chorus of Peers: Derek Butler, Michael Hammelmann, Ben Klein, Ken Knight, Liam Marziano, Chris McInnis, Lou Monteret, Peter Spowart. 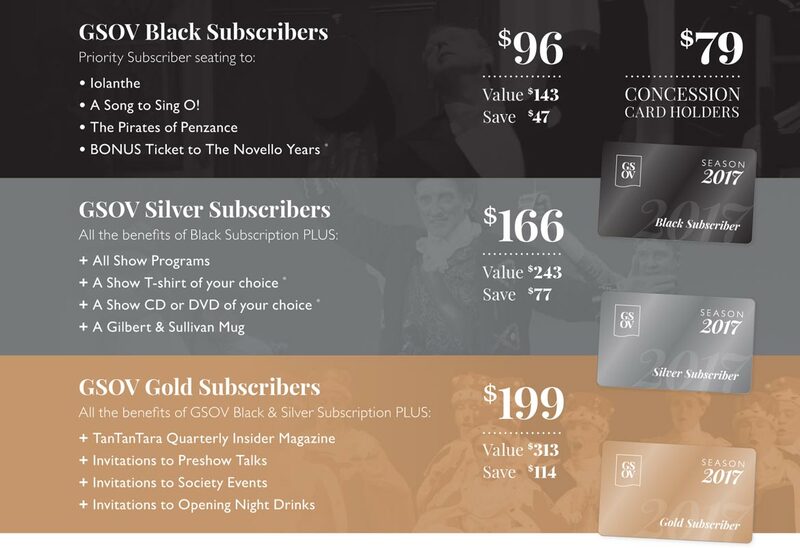 We're excited to introduce our GSOV	Season 2017 Subscription Packages, they	represent the best value for money, saving	you over 33% with tickets to all 3 shows. Add a little drama into the life of someone	special with a subscription to our delightful season. To find	out more or contact our Ticket Secretary on 0490 465 009. 10% Off all Shop items online Discounted Tickets for your Family & Friends. 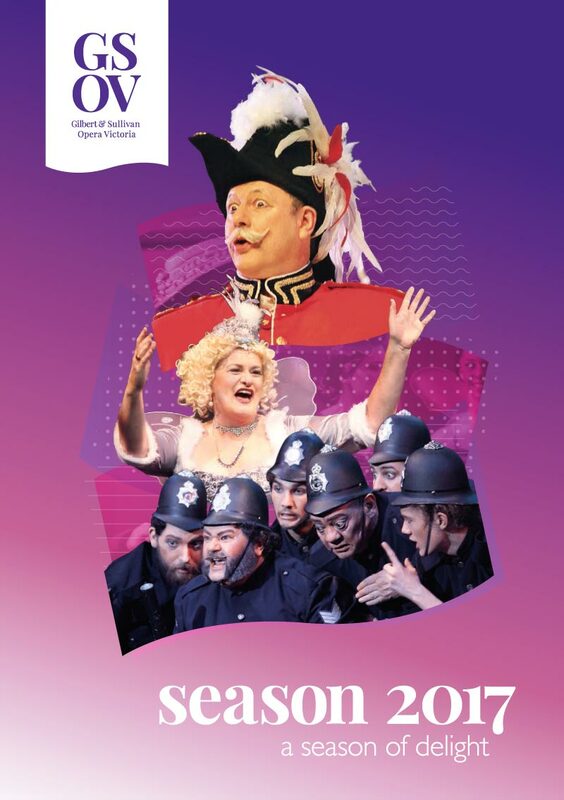 GSOV is the performing arm of The Gilbert and Sullivan Society of Victoria which has been delighting audiences with its productions for over 80 years. One of the longest running theatrical organisations in Australia, it has been hailed as one of our country’s leading light opera companies. 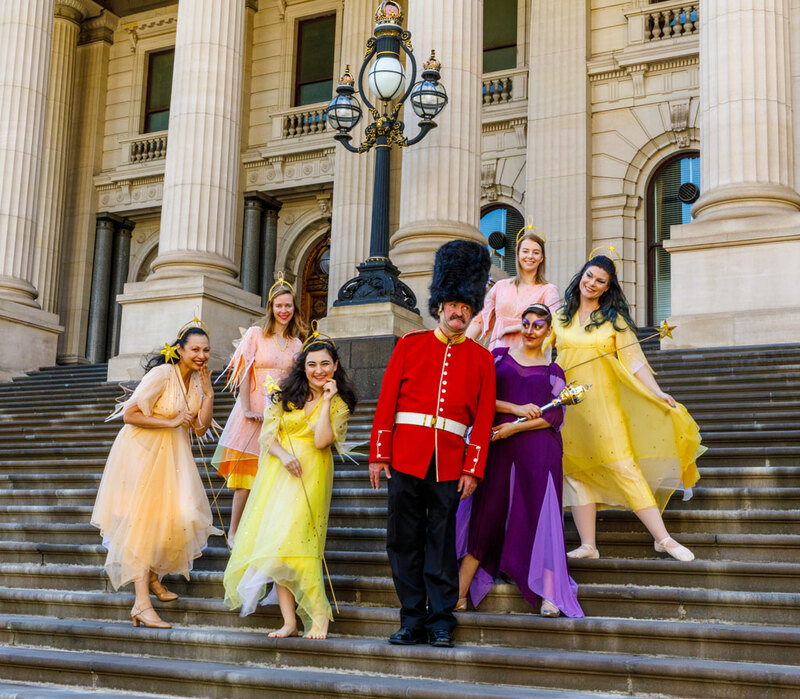 GSOV performs not only in Melbourne and regional Victoria, but has also won awards on the international stage at the premier Gilbert & Sullivan Festival in the United Kingdom. © Copyright 2016 Gilbert & Sullivan Opera Victoria T/As Gilbert and Sullivan Society of Victoria Inc. All Rights Reserved.